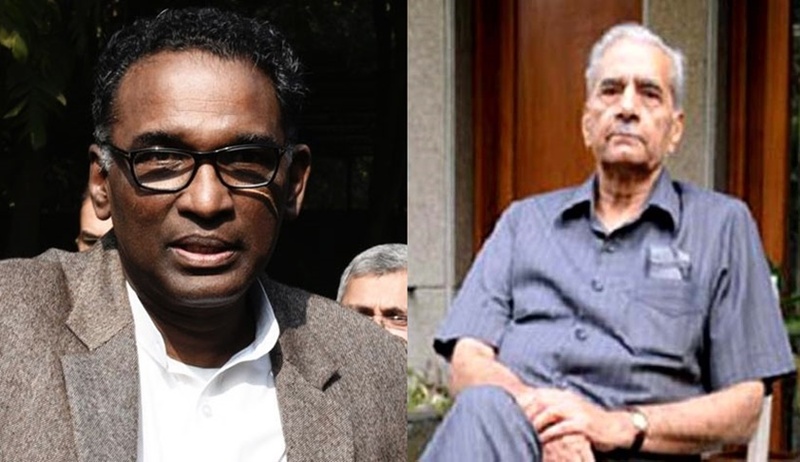 With Justice Chelameswar's retirement date closing in, Advocate Shanti Bhushan today addressed him in his Court, a day before he is set to sit with Chief Justice of India Dipak Misra on his last working day following court convention. Mr. Bhushan said that while standing in his Court, he sees a portrait of Justice Khanna, and is reminded that Courtroom no. 2 is not less important than Courtroom no.1. The entire country, he said, remembers Justice Khanna who presided in Court no. 2, while it doesn't remember many of those who presided over Courtroom no. 1. He then expressed his heartfelt appreciation for the way Justice Chelameswar had conducted proceedings in the Court, "with uprightness and dignity". He in fact told him that he "wishes and prays and hopes" that Justice Chelameswar's portrait also adorns the walls of the Court someday. I have seen how the Supreme Court evolved itself as the most powerful Court in the world." He expressed hope that the Apex Court will continue to perform its functions as destined by the framers of our Constitution, and added, "I wish your lordship great happiness during your period of retirement. The people of this country are grateful for your contribution...I am indeed grateful to your Lordship for this opportunity."